The RadioSurgery/Biology (RSB) Lab within the MBI-UF building contains a computer-controlled six Mev linear accelerator for use in cerebrovascular, cancer and fundamental cell and molecular research. To the best of our knowledge, this is still only full-time radiosurgery-biology research laboratory of its kind in the world. The research linear accelerator is capable of providing full dynamic therapy and was donated by Varian Associates, Inc. In addition, the lab is also equipped with high-end work station computers, assorted stereotactic equipment, a three-dimensional ultrasound imaging instrument, and other equipment such that, together with a technical support staff, this facility can support a variety of types of studies including: i) experiments to develop and evaluate techniques and equipment to be used in (CT, MRI and ultrasound) image-guided radiation therapy, intensity-modulated radiation therapy, image-guided radiosurgery, image-guided surgery and stereotactic surgery; ii) experiments to deliver single and multi-fraction radiation schedules to various radiobiological models (both cell and animal), including those designed to investigate the possible concomitant use of gene delivery and radiation therapy; and iii) experiments to validate models used to predict dose distributions and dose models. 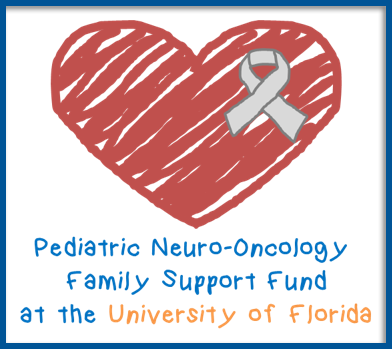 In order to perform much of this research, and in order for investigators to plan clinical treatment protocols (to be performed elsewhere), the RSB lab is linked via the MBI-UF.s gigabit network to the Shands at UF Hospital computer system wherefrom they can access the Picture Archival and Communications System (PACS) to download the digital image data sets (e.g., MRI and CT images) of prospective patients to the MBI-UF.s web-accessible image server. In addition to fundamental research on and planning treatment paradigms for human clinical cases, the RSB lab and core faculty also participate in veterinary clinical cases with faculty from the College of Veterinary Medicine, and in doing so expedites the translation of discoveries to human patients. Recently, the lab has received an NIH R01 grant to support research into an entirely new method of stereotactic guidance for surgery. This method involves the use of “rapid prototyping equipment.” Preoperative cranial or spinal scans are transferred to the lab’s computer systems. Special software is used to select a surgical pathway for brain or spine operations. The rapid prototyping machine then manufacturers a special guide which, after sterilization, can be used in surgery to precisely identify the correct location of skin, bone, brain, and spine incisions and pathways through such structures during surgery. Currently, this lab, under the direction of Frank Bova, Ph.D., is the center of research activity for many postdoctoral assistants, doctoral students, masters students, medical students, and neurosurgical residents. Below Dr. Frank Bova and Dr. Didier Rajon demonstrate a simulator and 3-d printed model for training residents.